"... a pleasing mixture of light and virtuosic ... can be enjoyed by all those whose tastes are centered on tonal, melodic, well-proportioned music ... nothing in the recital is without interest or indeed a sense of humour and warmth ... sound quality is very good ..."
"... obviously a clarinet lover’s feast, but it wouldn’t be right to conclude without acknowledging the excellent work of pianist Warren Lee. The piano parts are certainly not mere accompaniments; these are duo works in the full sense of the term and Lee proves himself Simon’s equal partner in every way. Very strongly recommended." 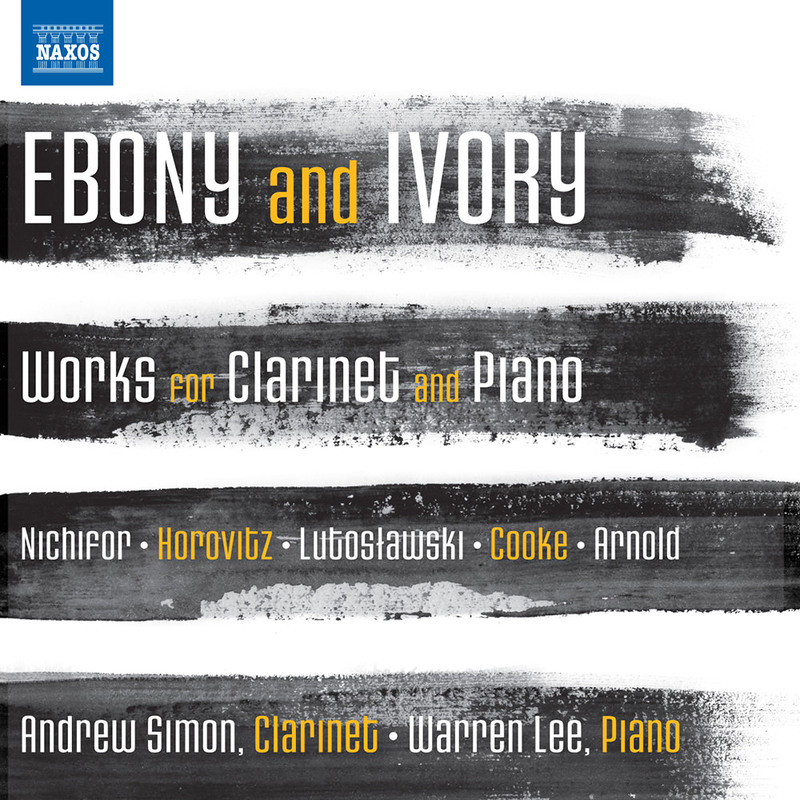 This fascinating and wide-ranging programme of 20th century works for clarinet and piano features Andrew Simon on clarinet accompanied on several selections by pianist Warren Lee. The album includes the jazz and folk inspired Two Dances for Andrew Simon by Romanian composer Şerban Nichifor, followed by a selection of pieces by Joseph Horovitz with whom both artists worked closely prior to this recording. Lutosławski’s Dance Preludes is based on folk songs from Northern Poland and the recital concludes with Arnold Cooke’s Hindemith-inspired Sonata and Malcolm Arnold’s accessible Sonatina.